With the passing of more than 18 years since Segregated Portfolio Companies (“SPCs”) were introduced into Cayman Islands law, the Cayman SPC is now regarded as an established option for international financial structures. Having started out as vehicles for certain licensed insurers, their uses have expanded to encompass investment funds, property development companies, multiple tranche debt-issuing vehicles, asset holding vehicles, and securities and derivative transactions. A key advantage of an SPC is that the assets of each segregated portfolio (“Portfolio”) are, as a matter of Cayman Islands statute, segregated from every other Portfolio's assets and from the SPC's general assets. This means that shareholders and creditors have recourse only to the assets of the particular portfolio to which their shares are allocated. By contrast, a multi-class fund (an umbrella fund) offers segregation between investors and shareholders but not against external creditors of the fund. Such creditors would deal with and have recourse to the available assets of the fund as a whole. Although SPCs can be wound up voluntarily or by order of the Cayman Court just like any other Cayman Islands company, the Companies Law (2016 Revision) (the “Companies Law”) does not make provision for the liquidation of an individual Portfolio, only for the liquidation of the SPC as a whole. Instead, if the assets attributable to a Portfolio are, or are likely to be, insufficient to meet the liabilities to the creditors of that Portfolio, the Cayman Court may make a receivership order in respect of that Portfolio alone. In this respect, an SPC is superior to a multi-class fund or an umbrella fund as it provides a mechanism for an investor or creditor in respect of a specific Portfolio, to apply to the Grand Court to assess that Portfolio's assets without de-stabilising the whole structure. The Companies Law provides that an SPC may by resolution of its directors (or such other authority as may be provided for in, and subject to the provisions of, its articles of association), terminate a specific Portfolio that has no Portfolio assets or liabilities attributable to it. Similarly, a Portfolio that has been terminated may be reinstated by the same means. Section 224 of the Law provides that receivers can be appointed if "…the Court is satisfied that the segregated portfolio assets attributable to a particular segregated portfolio of the company … are or are likely to be insufficient to discharge the claims of creditors in respect of that segregated portfolio…". Consequently, the test for the appointment of a receiver over a Portfolio is, in effect, a balance sheet test for insolvency. This contrasts with the cash flow insolvency test applied to winding up applications of Cayman Islands companies, and means that a receiver could be appointed over a Portfolio which would otherwise be considered solvent under Cayman law were it an individual company. In the matter of ABC Company (SPC) v J & Co. Ltd, the Court of Appeal reversed the Grand Court's decision not to strike out a petition to wind up ABC brought on just and equitable grounds. The SPC had suspended the calculation of net asset value for several years and the payment of redemptions in a number of its portfolios. The investment manager was winding down the suspended portfolios so as to make distributions over time. The remaining portfolios (at least two thirds) were still trading normally, were accepting subscriptions and were paying redemptions in the usual way. Nevertheless, a petition was filed by a shareholder in one of the suspended portfolios on the grounds that the SPC had lost its substratum and that it was just and equitable that the SPC be wound up. On appeal, the petitioner accepted that (a) the Court had no jurisdiction under the Companies Law to wind up an individual portfolio; (b) the appointment of a receiver over a portfolio was only available if the assets attributable to that portfolio are or are unlikely to be insufficient to meet the liabilities of creditors to that portfolio but not on a just and equitable basis; and (c) the only remedy was to seek to wind up the entire fund on the just and equitable grounds. Upon a review of the SPC's articles and offering documents, the Court of Appeal held that the petitioner had no realistic prospect of establishing that, as a result of the failure of certain segregated portfolios, the SPC had ceased to carry on business in accordance with the reasonable expectation of its shareholders nor was there any other basis upon which it was or could be said that the SPC as a whole had lost its substratum. This decision was the first case to affirm the proposition that the statutory segregation of an SPC's Portfolios will be upheld by the Cayman Courts. September 2016 saw further welcome clarification of the circumstances in which the directors of an SPC can terminate a Portfolio. In In the Matter of Primary Development Fund (Cayman) SPC, the receivers of Helvetia Trading Fund SP (in receivership) (“Helvetia Portfolio”), a segregated portfolio of Primary Development Fund (Cayman) SPC, applied for the discharge of a receivership order as well as consequential relief, including an order under s. 227(3) of the Law directing that the Helvetia Portfolio's liabilities to all creditors with claims against the Helvetia Portfolio were fully satisfied (a so-called 'full satisfaction direction'). The Grand Court noted that the receivers had collected the only asset of the Helvetia Portfolio (a balance of US$34,382) which was used to discharge the receivers' remuneration and expenses. Consequently, there were no remaining assets of the Helvetia Portfolio available to discharge its liabilities estimated by the receivers to amount to US$18,636,406. Whilst the Grand Court was prepared to discharge the receivership order on the ground that the purpose of the receivership had been achieved (given that the only asset of the Helvetia Portfolio had been realised), it refused to make a full satisfaction order as no sums had been distributed to the creditors of the Helvetia Portfolio. The Grand Court also noted that the power to give a full satisfaction direction applied to each creditor separately and could only direct that liabilities owed to a particular creditor should be fully satisfied where the creditor has received payment. The receivers renewed their application for a full satisfaction direction on the basis that they had made arrangements for a small and part payment of US$1 to be offered to creditors of the Helvetia Portfolio. No creditors responded to the offer, however, nor were any payments made to them. Rejecting the receivers' arguments of: (i) tender (on the basis that a tender did not discharge the underlying debt and was therefore not a payment for the purposes of s. 227(3)) and (ii) accord and satisfaction, (on the basis that the creditors had taken no action and failed to accept the offer) the Grand Court once again refused to make a full satisfaction direction but noted that a full satisfaction direction was not required in order to permit the SPC's directors to terminate the Helvetia Portfolio. The Court held that directors of an SPC can terminate a Portfolio under s. 228A(1) of the Companies Law in one of two circumstances: (a) where a Portfolio has no assets or (b) where a Portfolio has no liabilities. This decision clarifies that it is not necessary for both conditions to be satisfied and demonstrates that the Grand Court is prepared to terminate an insolvent Portfolio in the same way that a company can be dissolved even if no distributions have been made to creditors and liabilities remain outstanding. The segregation principle is now well developed and recognised in a number of jurisdictions including Bermuda, British Virgin Islands, Delaware, Guernsey and Jersey. The treatment of the SPC concept in an onshore bankruptcy court, however, remains untested. Ultimately, the application of statutory segregation will turn on the foreign court's willingness to apply Cayman Islands law, issues of local law and public policy. In In the Matter of JP SPC 1 and JP SPC 4 (2013), on an application to the Grand Court by two joint receivers of two Portfolios seeking clarification of their status, duties and powers to support their (ultimately successful) application for their recognition in England under the English Cross Border Insolvency Regulations 2006, the Court held that the receivers, in practice, may need "the same or similar powers, subject to appropriate modification, in relation to the segregated portfolio of which he is a receiver as a liquidator would have under Part V of the Law". Although the SPC as a concept is unknown under English law, the English Courts' willingness to recognise and assist Cayman Islands Court appointed receivers over Portfolios is a positive step towards the recognition of the SPC structure in a common law jurisdiction. 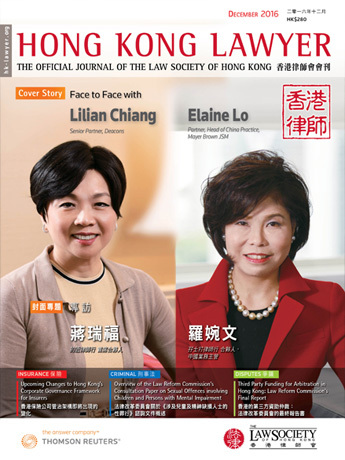 Cayman SPCs have since 2009 been party to litigation before the Hong Kong Courts without judicial comment on the effectiveness of the principles of segregation in the Law. Further, to mitigate this foreign-law risk and to reinforce the statutory segregation principle, it is recommended (and now common place) for contractual limited-recourse wording to be included in agreements entered into by an SPC. SPCs are well established corporate vehicles and continue to be popular options for international financial structures. The decisions discussed above provide confirmation that the SPC structure will be respected by the Cayman Courts and welcome guidance on the powers that receivers of insolvent portfolios can expect to receive. The cases have also clarified the ease with which insolvent Portfolios can be terminated, and where necessary, reinstated. Whilst the principle of segregation remains untested in foreign courts, the good news is that segregated portfolio structures seem to be more and more widely recognised. Mr. Payne’s practice spans all aspects of general commercial litigation, including shareholder and banking disputes, insolvency, and breaches of directors’ and trustees' duties. As a Solicitor-Advocate, Mr. Payne holds higher rights of audience. He is recognised by Legal 500 2012 as an “Experienced Practitioner”. Mr. Gomez is an Attorney at Law of the Cayman Islands. He has a broad practice covering private international law and general commercial litigation with a particular focus on contentious insolvency, banking matters and shareholders’ disputes.